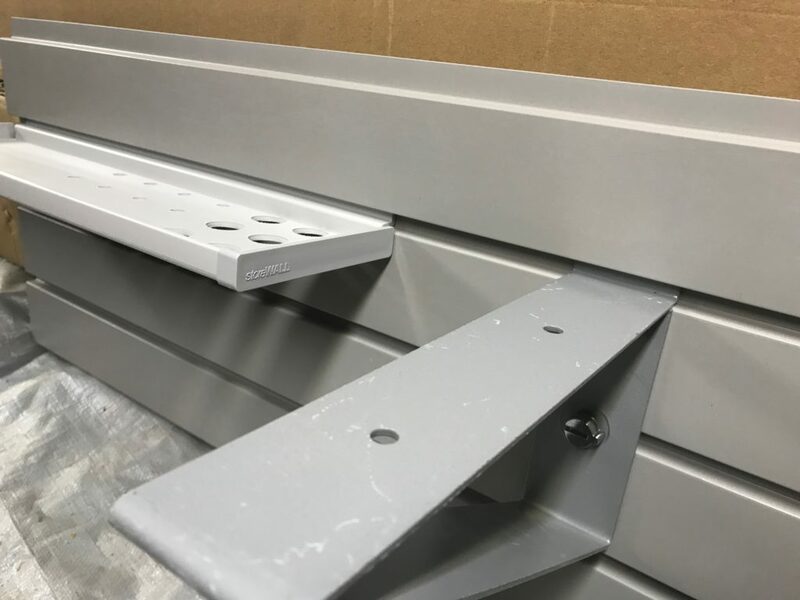 StoreWALL recently launched its new Garage Wall Tool Organiser and we have been fortunate enough to have received a supply. The StoreWALL range includes 2 sizes the 16 inch (420mm) and the 10 inch (250mm). We are stocking the 420mm option plastic tool organiser at the moment and its already proven to be popular. 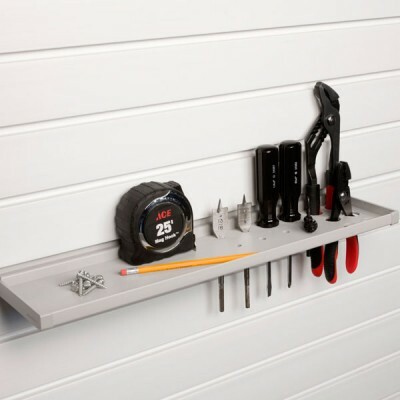 The StoreWALL Garage Wall Tool Organiser sits about 115mm off the wall, 420mm in length and 15mm in height. It is made from 4mm thick lightweight thermoplastic making it super durable like every other StoreWALL accessory. It’s also very easy to install on your StoreWALL Standard or Heavy Duty panels. Our Garage Wall Tool Organiser is very light weight, easy to clean and doesn’t need any painting or finishing. It also comes with pre-drilled holes for your tools making it ready to use. 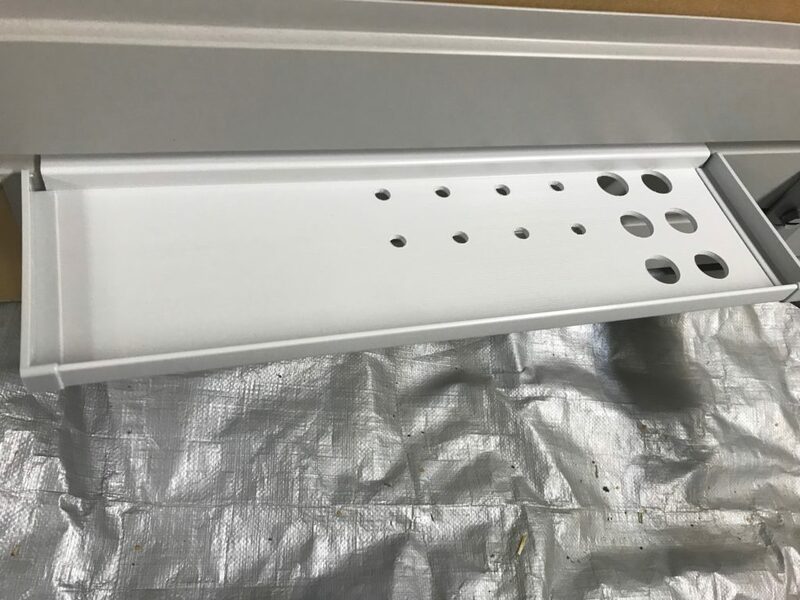 You can see from the several images in this post that about half of the tool organiser is made up of pre-drilled holes. The rest can be used as shelf or you can drill additional holes as required. 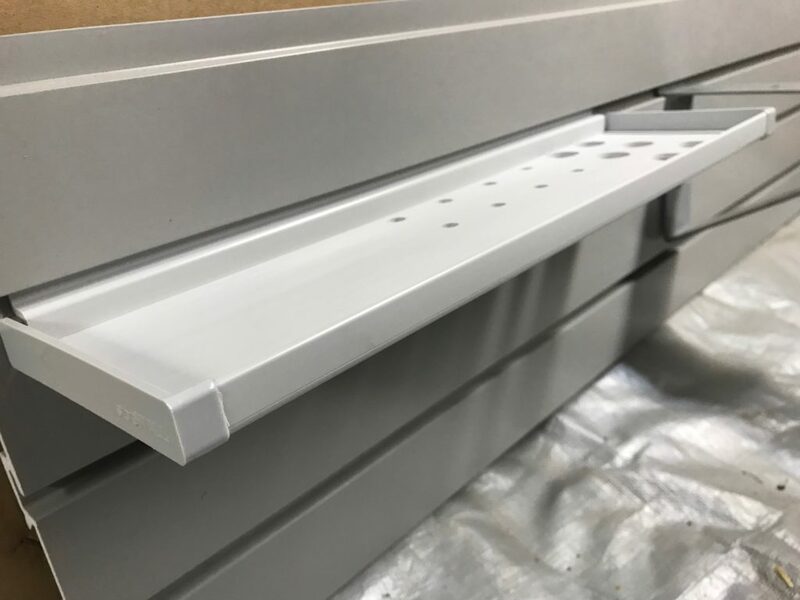 To install the wall mounted tool organiser you will need an exposed edge from a wall panel and then just slip it in and adjust where along the panel you want it to hang. The organiser doesn’t come with the CamLok locking mechanism but as you can see from the below video, its impossible for it to come off the wall due to the edges that are hooked into the wall panel grooves. StoreWALL has a range of Thermoplastic shelves which we will be launching in Australia late February. 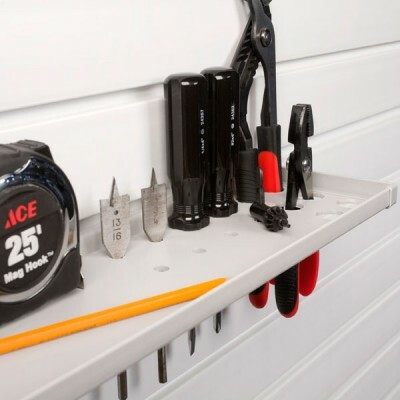 They range in size and have a very similar look and feel to the Garage Wall Tool Organiser. Combined with our Heavy Duty Shelves, StoreWALL’s range of baskets, shelves, bins, brackets and totes can help you get the most out of your garage or work shop space.